Song of the day: Abingdon Boys School – "Fre@k $HoW"
Now, I don’t know how much studio trickery was involved in the recording of this track, but it features some of the tightest band playing you’ll ever hear. Ever. Incidentally, if you’re wondering why I’m occasionally sneaking in some artists from Japan, it’s because of our 18-year-old daughter (Hi, Celeste!) who is a lover of all things Japanese. She has exposed me to a lot of music I would never have heard (and, in some cases, don’t want to hear again), and I’m glad she has. (Thanks, Celeste!) Some of it I think is fantastic (especially Puffy, which I pestered you with a little while ago, and Ai Otsuka, a tiny bundle of pop wonderfulness I’ll introduce you to a later date). 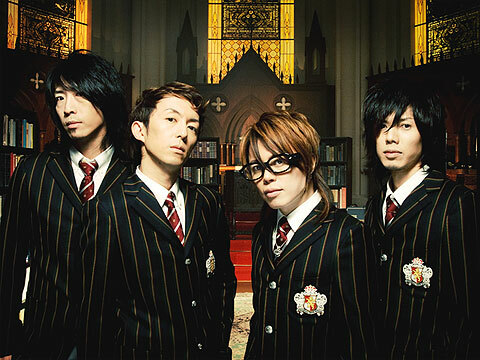 You are currently browsing the archives for the Abingdon Boys School category.